It's been nearly two weeks since Apple unveiled the iPad. And quite frankly, I've been surprised. Not so much at the technology, but at the vitriol that has been hurled at Apple. In the days following the release anyone spending any time at all on Twitter or Facebook or the blogosphere would think Apple killed a small child's favorite cat in front of her and molded it into the iPad. I un-followed a few people last week over their exceedingly negative posts. Not because I'm such an Apple fanboy, but because their tone about everything became as bitter as three-day-old truck stop coffee. And I just don't need that kind of negativity in my life. People, it's just a computing device. It was never intended to be a path to self-actualization. Get over it. Go outside, get some sun. Much of the haters angst centers around a few main gripes; no Flash, no multi-tasking and no built-in camera. That and the fact that it's a "closed OS" and forces you to do things the Apple way. Let's take those in reverse order. Seriously? Do you know Apple at all? The iPhone is essentially a closed OS and has been since day one. It's elegant and beautiful and if it does what you need it to, you love it. If it doesn't, you don't. The Mac isn't much different. You either want the computer to just work and not bother you, or you want to work on and tweak your computer. If you were expecting a Windows-like tweak every single parameter in the OS experience, well duh. You should be disappointed. 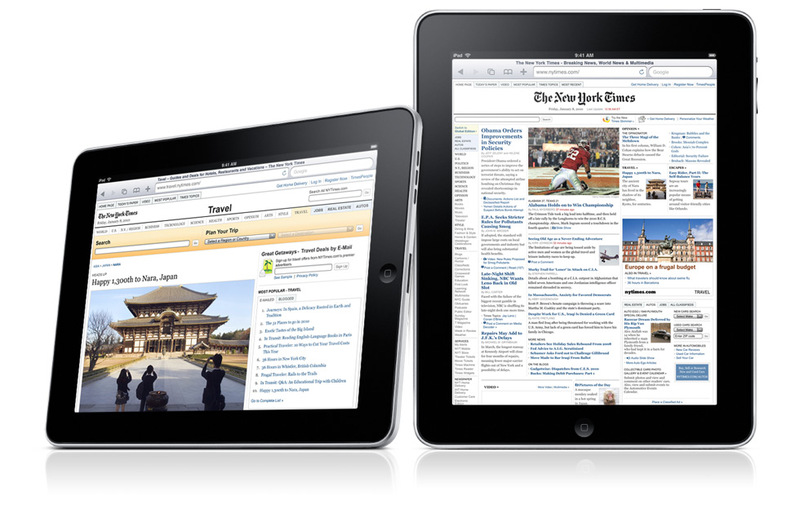 The iPad was conceived as a content consumption device, not creation. Perhaps for iChatting and Skyping a camera would be nice. But the tablet seems to be best used on the lap or on a tabletop, in which case the camera would be rendering the inside of your nostrils beautifully. Maybe an external one will come along later. I'm convinced that roughly half the people complaining about that don't even know what multitasking really is. And even then, half the ones that do don't really want true multitasking as much as the experience of multitasking. From what I hear, the iPad is so stinking fast that switching from one app to another is almost as fast as having them all resident in RAM the whole time. Personally, I'm just as happy with the limited, Apple-approved quasi-multitasking on my iPhone. I think I would really like it on the iPad. There are a lot of good reasons not to multi-task; stability and battery life among them. Personally, I say a resounding, "Hip, hip, hooray!" Flash started out as a way to put cool little rich-media elements on web sites. It's turned into a monster. Designers have been creating entire sites out of Flash to build their portfolios on the backs of companies and it's a mess. Flash is a resource hog, unstable and a closed system. I'm glad it's going away. In two years we'll look back on Flash much the same way we now look at SCSI. I know Adobe has made a big deal of how many Flash sites are unusable on an iPad. However, further research shows many of them already have iPhone-specific versions that work just fine (perhaps better than their bloated Flash counterparts). Heck, even this site has a iPhone-specific theme now. So, no Flash, no problem. The thing I find fascinating about the haters is for the most part, none of them have ever even touched the iPad. The reports I hear from people that have actually spent time holding it and working with it are completely different. It's a product you need to experience to fully appreciate. And that's why I think it's going to be a success. People will wander into an Apple store, pick it up and start playing with it and say, "This is amazingly cool. I have to have one." Sure, it's a lot like a big iPod Touch. But remember, the iPod Touch is a really cool device. Blow it up and make it significantly faster (for about the same amount of money as the first one, you'll recall) and you've got a lot of potential. Speaking of potential, next time, I'll lay out a few use cases for the iPad in a church setting. And yeah, I have a few of them!